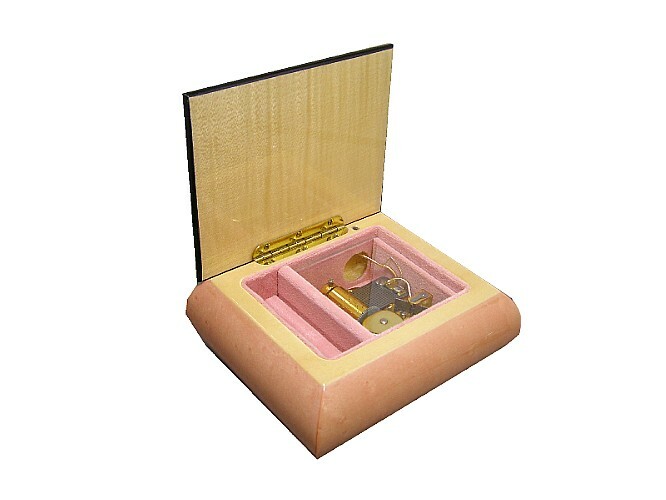 This beautiful musical jewellery box from The Music Box Shop, is fitted with an 18 note musical movement. The music box is wound from underneath. When you lift the lid the music plays. 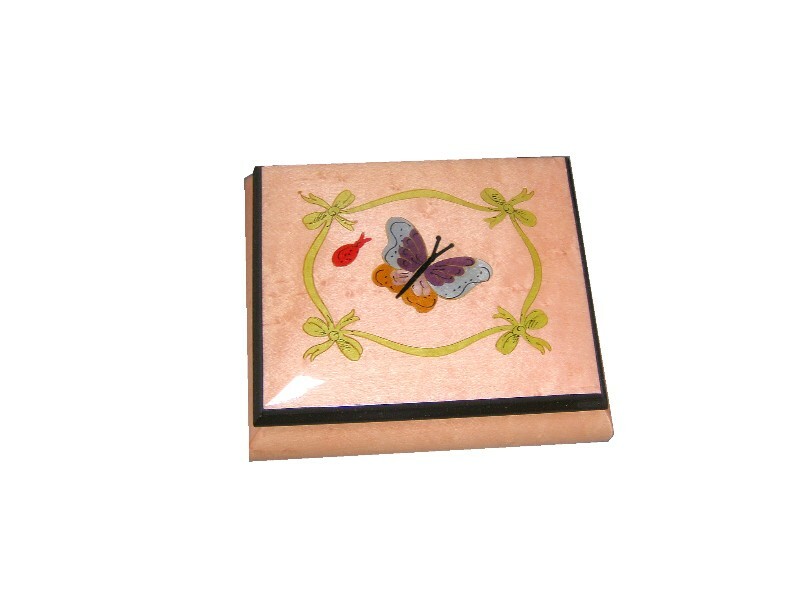 The box is in a pink veneer and inlaid with a butterfly and ribbon design. 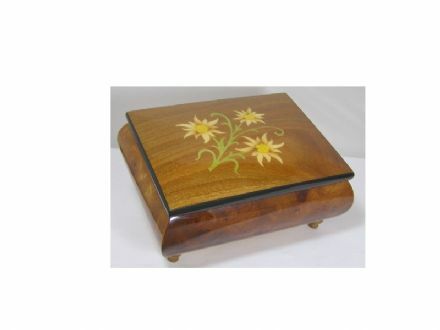 This musical jewellery / ring box is finished with a gloss lacquer. Approx Size :123mm x 102mm x 62mm. You can choose the tune you would like from the box below. 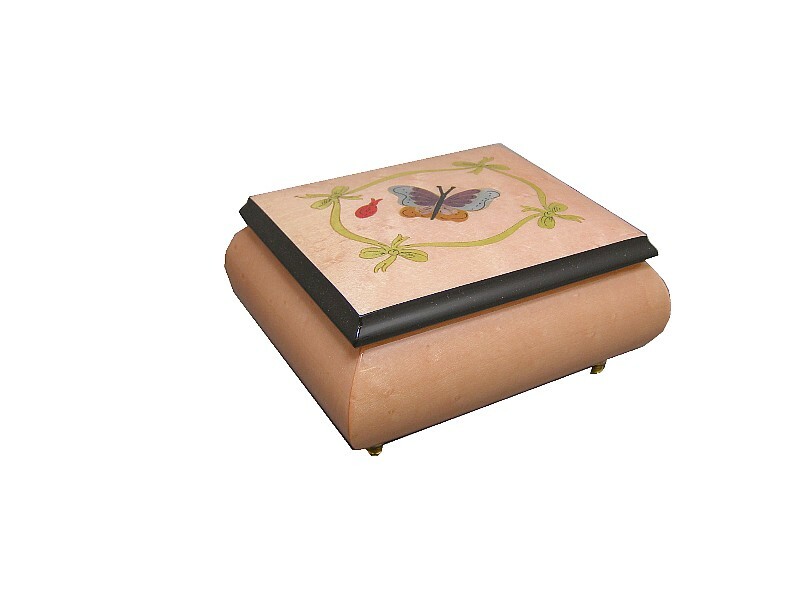 All of our inlaid musical jewellery boxes and music box are normally supplied with a traditional decorative tune label on the inside of the music box lid. 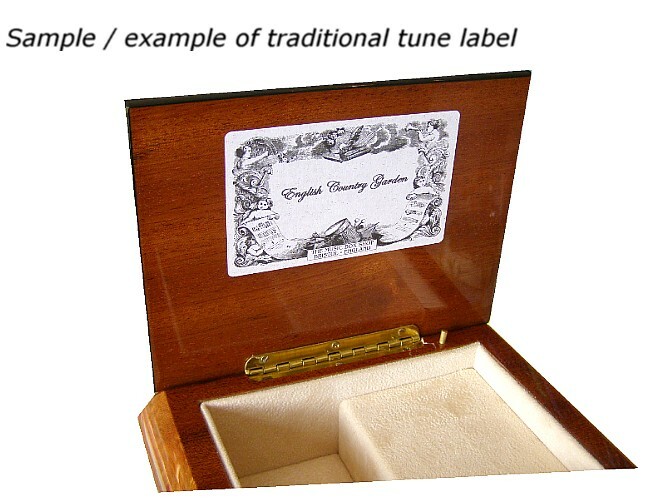 Putting a tune label inside the music box lid is a historical tradition in musical box manufacture, today antique boxes with the original label are always preferd by collectors as it can prove the movement has not been changed and confirm the supplier or manufacturer. As standard we always fit a music box tune label inside the lid (when size of lid allows), but if you would prefer us not to, please mark the menu box below as "no tune label inside lid". A sample of a typical music box tune label can be selected and enlarged from the musical box picture selection.